Discover Montreal by allowing us to chauffeur you around in our London style double decker busses. Your ticket is valid for two consecutive days so that you can take your time exploring this diverse city. Good route, covers lots of ground and we liked the option of using it the second day to get around. Your experience definitely depends on your tour guide; we had a good one but when we switched busses the other guide was abismal. Our recommendation would be to get off the bus and wait for a better guide if you’re faced with a similar situation. Also, although it was cold we sat up top as on the double decker busses the bottom floor doesn’t have great visibility. Overall, we had a good experience with our first tour guide and enjoyed the fact that she gave a bilingual and entertaining tour. The actual double-decker tour ride through Montreal was good, but it skipped whole neighborhoods, like the Mile End and the Plateau. Otherwise, was good. The worst part of the whole experience was the "where to get the bus"--the lack of instructions and lack of signage are bizarre and easy for Gray Line to fix. We tried to pick up the bus at the Dorchester Square location (stop 1). I even called to ask where exactly to meet. We got to the building and saw a sign for Gray Line Tour pick-up so we stopped there to wait...and wait...I took it upon myself to go inside the building and find the tourist office where I was informed you had to "check in" there (not written anywhere on the e-tickets/voucher I was sent?) and that the actual double-decker bus pick up was on the OTHER side of the building. No signs anywhere about any of this. Nor any clear signs as to where the bathrooms are in the building (small ones on the floor inside the tourism office). As a museum professional who works on this stuff for a living, I am baffled why Gray Line doesn't do a clearer job communicating easy things through print/signage. Once you get on the bus, it's fun! Good luck! Excellent tour. Covers Montreal beautifully. Tour guides are well informed and funny! The tour was good for getting a feel for the city and seeing quite a bit of it in a short amount of time. 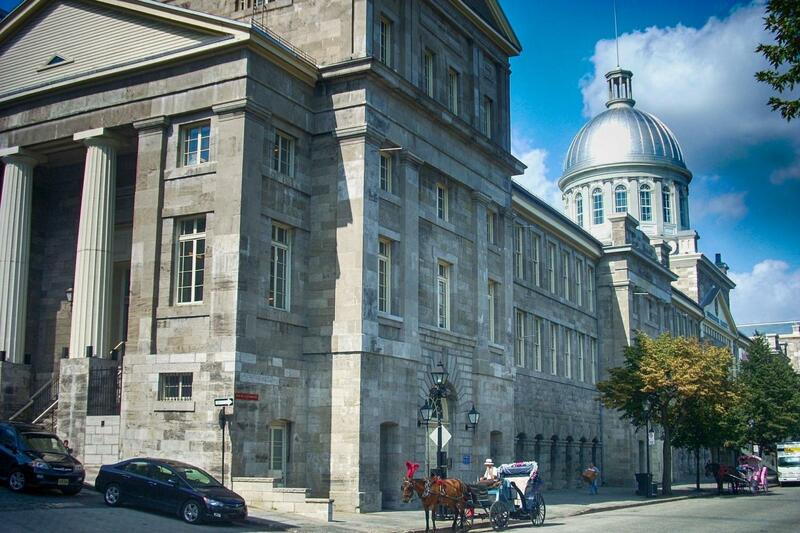 I wish the tour guides (we had two different ones) would have included more about the history of Montreal and the different areas visited rather than just concentrating on the current buildings.